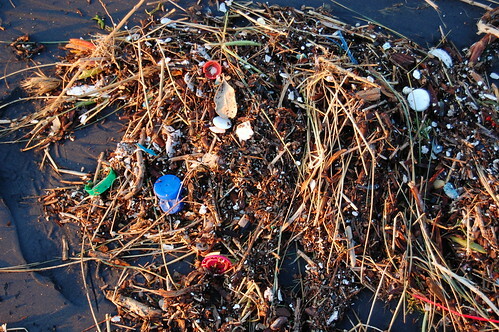 See how many pieces of plastic you can find in this small sample of stuff that washed ashore after a storm. This is all over Ocean Beach in San Francisco. For more on plastic in the ocean and what it does to our food chain (and ultimately us humans), just Google or Bing "plastic ocean" or "Great Pacific Garbage Patch" or "North Pacific Gyre"